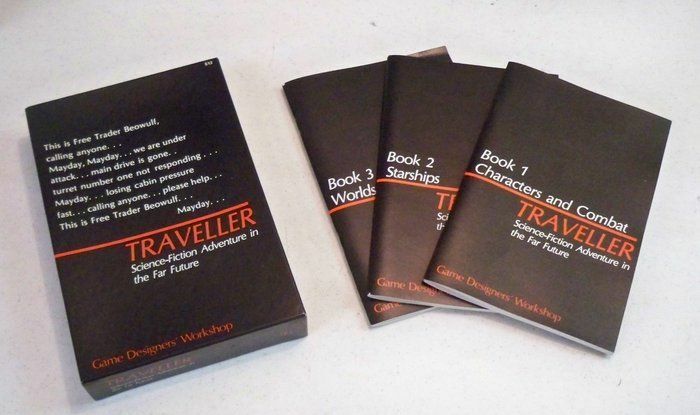 I’ve had a couple of truly memorable characters come from Traveller’s random approach. The aforementioned 7 term Marine Master Gunny with the soc of C, the 5 term academic that somehow was never able to enlist in the Scouts, and the Diplomat with Bureaucracy-1, Carousing-1(I think), and Blade-6. After all, if dueling is legal (and maybe if it’s not), and you’re a honor bound culture, what better way to remove problem individuals? Someone commented elsewhere that they think that the ‘Other’ service should get two skills per tour like Scouts do, since neither of them receive promotions. I think that’s a marvelous house rule, but it’s definitely not clear by the written text.